Asus has been in the smartphone industry for at least five years, and it is believed to be best in the industry in terms of offering the affordable range of smartphones. They directly compete with brands like Xiaomi, Lenovo, and Motorola. The latest Asus smartphone in India that is expected from the Taiwanese brand is the new Asus Zenfone 5 2018. It is their flagship smartphone, which was announced at the MWC 2018 expo in Barcelona earlier this year in February. The aluminium frame and dual Gorilla glass body make for a design that one would like to flaunt a lot. The first thing that you’ll notice about this new Asus smartphone is that is quite similar to the iPhone X, sporting the notch on the top bezel. Apple might have started a trend with that and companies like Asus are following up to the demands of the audience. This 6.2-inches 18.5:9 aspect ratio screen is border-less, of course, expect that notch on top. Sporting a 2246 x 1080 pixel resolution, expect an immersive experience from this display. Powered by a Qualcomm Snapdragon 636, this new Asus smartphone rocks an Octa-core processor, which clocks at 1.8 GHz. Supported by the 4GB RAM and 64GB storage, there is an expansion slot available on this phone. So, you don’t have to worry about the media storage on this one. Further, the Android 8.0 Oreo-based ZenUI makes sure you get a good user experience. Dual-rear camera setup is almost introduced on all new launches and Asus is not keeping away its handsets from this camera technology. The primary lens is of 12MP sporting a f/1.8 aperture, which at least makes sure you’ll get a good low-light capture, on top of faster focusing. The secondary camera is of 8MP, which sports a f/2.0 aperture, which is good enough support. For selfie obsessed people, the Asus Zenfone 5 sports an 8MP camera on the front with f/2.0 aperture number. A significant part of smartphone ecosystem, the battery life determines how long your device can last on the battery capacity provided. The longer, the better! The new Asus smartphone comes equipped with a 3300 mAh capacity battery, which might sound low on paper. But looking at the hardware and software level customization, it should offer a long battery life as claimed. Well, Asus has put out a really great specifications sheet on their all-new flagship phone for the year. In the affordable flagship segment, which is apparently a thing in the industry, it might be one of the best introduction so far. If and when Asus brings the Zenfone 5 to India, we believe it should be priced below 20,000 to put a dent in the segment. 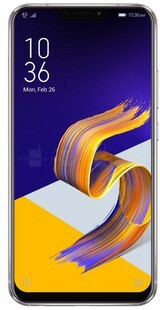 Asus ZenFone 5 2018 full specs and reviews as of Apr 2019. Buy it here!